According to an engineer who toils for WordPress by the name of Josh Betz, Touch ID can be "trained" to be more responsive. The secret is to give the scanner more data about your fingerprint. 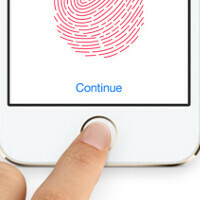 The bottom line is that by following his technique, you can decrease the number of false negatives, and speed up the time it takes Touch ID to verify your identity. To train Touch ID, follow the directions given by Betz, which you will find below. The reason why this works is that every time you press on Touch ID, it learns more information about your fingerprint. By adding more data about your print ahead of time, you're allowing the entire process to work faster. And who wants to wait any longer than they have to, before gaining entry to their phone? Let us know if you've noticed any change in how fast Touch ID verifies your print after you've applied the above "training" procedures. At the same time, we are curious to know if you have experienced fewer false negatives, which can actually lock you out of your own iPhone. Just turn the fingerprint scanner off. It's about a useless as Svoice. This isn't really new. I found this out about a year ago. Still useful information, not everyone might have heard about it. Easy bro. Last year I along with a lot of other people didn't have Touch ID. The first part of your comment was unnecessary. All of your comment was unnecessary, "bro". TouchID works 9.9 outta 10 for me. Very good implementation. I didn't know this. Just did a few rounds. But it was quick to begin with. Will have to see if I get an occasional 1-2% error this month. I primarily use Touch ID not for security, but because it's faster to unlock then slide to unlock without a passcode. I haven't "slide to unlock" my phone in months. How is it useless? Also how can it be boring, that's like saying the mute switch is boring, it's not meant to be fun, just functional. Do you really have an iPhone? Hey it's Apple article that outlines more capabilities of the fingerprint sensor that's already excellent - give him credit - it's hard to troll apples features, (probably the lack of useless ones that android fans religiously believe are best things since sliced bread). But he still tried, quota must be filled. Your galaxy has a swipe finger scanner* Galaxy* Touch ID works flawlessly. Couldn't say the same about samsungs fingerprint scanner which I have tried. I've tried it, and honestly, it's not a very good implementation. It almost always requires you to use two hands. I had a Note 4 for a bit, and that was one the reasons I decided to return it. Touch ID "learns" more about your fingerprint every time you use it so there's no rational need to do what the article says. Besides, it almost works every single time. I remember all the haters talking about Touch ID was useless back in 2013. They failed to realize Apple just wanted to get it out there and work out any kinks prior to launching Apple pay in 2014. It has all come together now. Great post bro. ApplePay is a joy to use. I used to be a cash carry guy, not anymore.